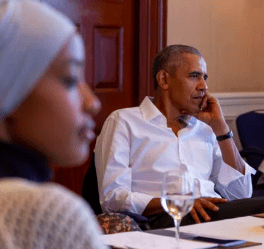 Recently when checking in with the Obama Foundation, we learned that they are highlighting the Women’s Global Education Project (WGEP) and its work in helping global communities end the practice of female genital mutilation (FGM). To find our more about how this work takes place, Philanthropy Women spoke with Amy Maglio, Founder of WGEP. Maglio founded WGEP over 14 years ago after she was a peace corp volunteer in Senegal, where she lived for three years. “When I got back from Senegal, I thought about all the girls I knew who weren’t in school,” said Maglio. She was particularly concerned with the reasons that girls weren’t going to school, and wanted to find more ways to ensure that girls got into school and stayed in school in Senegal. Maglio began partnering with local community-based organizations in Senegal that were already working on these questions. Local organizers in Senegal identified that girls ended their education often because of healthy, safety, and cultural issues. What is Feminist Foreign Policy? How Can Donors Support More of It? Sweden’s feminist foreign policy is helping to define key strategies for addressing gender equality worldwide. In 2014, Sweden made waves by becoming the first country across the globe to adopt an explicitly feminist foreign policy. Drawing both controversy and acclaim, the foreign policy was the first of its kind to focus so pointedly on international gender equality across every level of government. 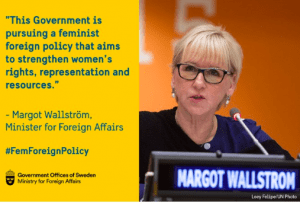 Since Swedish Prime Minister Stefan Lofven was confirmed to a second term on Jan. 18, 2019, activists have called for even more emphasis on continuing the successes of the feminist foreign policy. But what exactly is a feminist foreign policy? In Sweden’s case, the policy focused on funding initiatives across the three “Rs” in which women tend to be underserved and neglected: resources, representation, and rights. Donors who are interested in promoting gender equality through their efforts and outreach can look to the Swedish model of feminist foreign policy to know where to begin. Author Laura DorwartPosted on March 4, 2019 March 11, 2019 Categories Feminist Philanthropy, Gender Lens Grantmaking, Gender Lens Investing, Global Philanthropy, Human Rights, International Women Leaders, Reproductive Rights, Sustainable Development Goals, Women LeadersLeave a comment on What is Feminist Foreign Policy? How Can Donors Support More of It? 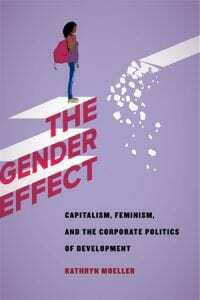 The Gender Effect: Capitalism, Feminism, and the Corporate Politics of Development is by Kathryn Moeller. So much of what I worry about with corporate philanthropy is just how much it is used to grease the pill, so to speak, of the public swallowing all the damage that corporations do in the world. Corporate philanthropy asks us to believe, for example, that Nike cares about gender equality, even as much of its subjugation of labor in developing countries puts added pressure on women as both workers and providers, with very little given in wages in return. Such is the subject of Kathryn Moeller’s book, The Gender Effect: Capitalism, Feminism, and the Corporate Politics of Development, which makes the case that even feminism can be co-opted by corporations and turned into a tool for shifting more of society’s burdens onto women and girls without addressing the structural factors that produce poverty. The book makes a convincing argument that many corporations are not coming at gender equality in their philanthropy with a genuine interest in changing the circumstances for women. 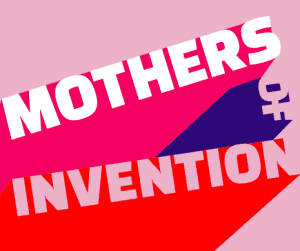 It also shows how much corporations continue to apply pressure to women’s lives, sometimes by demanding that they don’t have children so that they can put work first on their life agenda, or convincing women to take loans and enter into small business, even though they lack the supports and the know-how to ensure that the business has the best chance of success. I would recommend that anyone interested in women’s empowerment read Moeller’s book, to recognize that the agenda for women’s equality can be seriously skewed by corporate interests. While we continue to highlight and encourage corporate giving for women and girls here at Philanthropy Women, Moeller’s book helped me develop a more critical eye for where the corporate pressure for profits might be bleeding into the corporate do-goodism. Similarly, in a recent issue of the New Yorker, Moeller has an essay called The Ghost Statistic that Haunts Women’s Empowerment. With this essay, Moeller brings much of her argument from the book into a more succinct narrative. She questions how one particular statistic came to be: the statistic that says that when women have control of money, they give 90% of it to their children and community. According to the essay, the reliability of this statistic is non-existent, which begs the question of how much we need to do in order for the data on women to become more detailed, validated, and replicated, in order to prove its value. But Moeller also makes another valuable point. Even if the statistic is true, is that necessarily the recipe for a robust global economy? If women tend to give much of what they have away, how will they accumulate the capital necessary to sustain and grow business ventures? And will they end up in situations where they are simply the conduit for money that goes into the hands of more powerful and controlling entities in their families and communities? Moeller’s book is provocative and in league with other sharp critiques of philanthropy circulating these days including Anand Giridharadas’ Winners Take All and Edgar Villanueva’s Decolonizing Wealth. It’s a must-read for feminist philanthropists who want to take an approach to their work that will truly transform lives and avoids replicating, or further empowering, subjugating corporate systems. 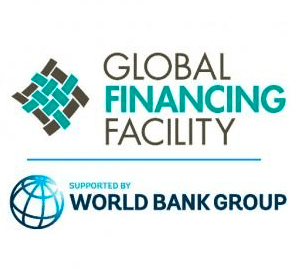 The Global Financing Facility recently held is Replenishment Event, where global leaders pledged $1 billion to address health needs for the world’s poorest women and children. The “Global Financing Facility” (GFF) might not be a familiar name for some in the U.S. philanthropy world, but it ranks among the most important organizations in the ongoing fight for global gender equality. Recently, GFF made a big pledge that is particularly noteworthy for its public/private collaboration, and for its attention to women. GFF is an international organization supported by the World Bank Group, and dedicated to improving the health of the planet’s most impoverished women and children. In early November, the GFF held a conference, or “Replenishment Event,” in Oslo, Norway. The meeting was hosted by the governments of Norway and Burkina Faso in conjunction with the World Bank Group and the Bill & Melinda Gates Foundation. Fourteen donors, including national governments of various sizes, foundations, and multilateral institutions pledged over one billion dollars to improve the health of mothers and children in the world’s poorest countries. The Government of Norway ($360 million) and the Gates Foundation ($200 million) were the two largest donors. The United States did not contribute to the Replenishment Event, nor has it provided any support to the GFF to date. The Global Financing Facility was founded in 2015 as a mechanism to help achieve the UN Sustainable Development Goal of ending preventable maternal, newborn and child deaths by 2030. It currently operates in 27 countries, 19 of which are in Africa. The GFF’s mandate is to address the greatest health and nutrition issues affecting women, children and adolescents in the world’s poorest nations. It emphasizes partnerships with countries, civil society organizations, financiers, multilateral bodies and the private sector in funding healthcare systems. The GFF aims to improve outcomes long-term, as opposed to spending on stop-gap emergency measures which are often not sustained. To this end, not only were there pledges from wealthy countries and foundations at the Oslo conference, the African nations of Burkina Faso and Côte d’Ivoire committed to increasing their health spending by 15% annually, while Nigeria recommitted to its $150 million yearly investment in health and nutrition targeting women, children and adolescents. The billion dollars pledged is expected to link to an additional $7.5 billion in funds from the World Bank’s International Development Association (IDA), and International Bank for Reconstruction and Development (IBRD). GFF calculates that the billion-dollar commitment represents roughly half of what it needs to expand its efforts to finance healthcare in 50 of the world’s lowest income nations, and make progress in meeting the 2030 Sustainable Development Goal on maternal, newborn and child deaths. The GFF’s boost to health financing in poor countries is three pronged: (i) develop a plan that prioritizes a strong primary health care system and reproductive, maternal, newborn, child and adolescent health and nutrition; (ii) strengthen a country-led platform that unites key stakeholders around a health and nutrition plan; (iii) work with countries to direct resources at the most vulnerable populations in the hardest-to-reach regions. The need is great, as over two billion people live in countries that spend less than $25 per capita on health yearly. This lack of healthcare funds has serious consequences: 450,000 children under five die unnecessarily every month, and 830 women die every day from pregnancy and child-birth related complications. The GFF notes that in 50 countries around the world, over five million mothers and children die from preventable conditions due to a lack of resources. The GFF is promoting increased spending on health, but also ensuring that the spending is targeted, and that outcomes are measurable. Today, in recognition of International Day of the Girl, the Obama Foundation has announced the launch of a new initiative that will empower adolescent girls around the world through education. The initiative aims to support more than 1,500 grassroots organizations around the world that reduce barriers to education for girls such as early marriage, limited access, and lack of financial resources. The initiative will accept applications from eligible nonprofits already working to increase educational opportunities for girls. 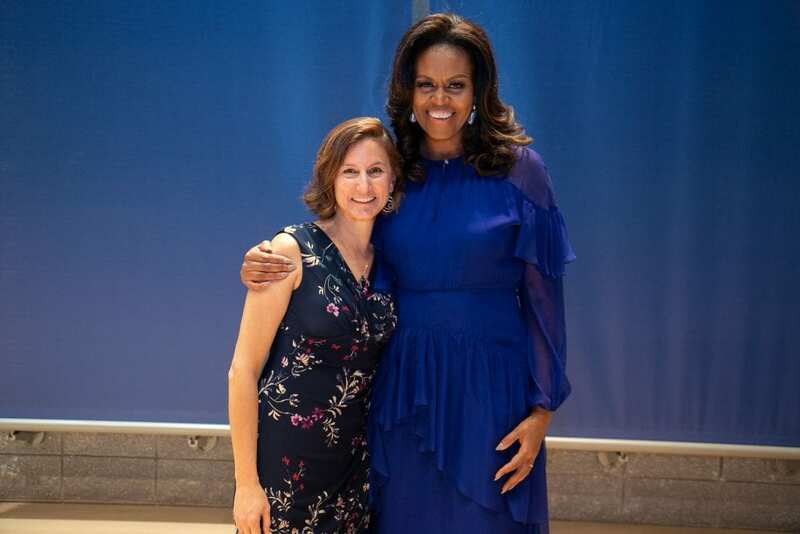 Through a collaboration with GoFundMe, the Obama Foundation has established the Global Girls Alliance Fund, which will help raise funds for grassroots organizations to make more headway with goals to educate more girls. Eligible nonprofits must be seeking between $5,000 and $50,000 for this work, and all funds raised must go directly to programs working on education for girls, not for overhead or general operating expenses. Jacquie Love becoming a student for the day at ZOE International rescue house in Chiang Mai, Thailand. As feminist strategies in philanthropy continue to grow, new organizations are being created to serve the needs of this sector. Among these new organizations is the Secret Sisterhood, founded by Australian entrepreneur and philanthropist Jacquie Love. Launched in the second half of 2017, the enterprise reports already having 40,000 women in its network. Along with creating jewelry that celebrates gender equality and women’s leadership, the Secret Sisterhood conducts “philanthropic journeys” — travel events in the developing world that offer women an opportunity to see first-hand how philanthropy can aid in gender equality movements. The journeys have four aims — empowering female entrepreneurs in developing nations, reducing human trafficking, eliminating violence against women, and providing education for girls. One upcoming journey for the Secret Sisterhood will be to Thailand and Cambodia, and involves studying the history of genocide under the Khmer Rouge, as well as witnessing work with at-risk children in the red-light district of Phnom Penh. Over the course of the 11 day itinerary, women learn about strategies for educating girls and micro-financing women entrepreneurs. To delve further into microfinancing, the trip will take participants to the Grameen Australia chicken farm in Siem Reap, Cambodia. With support from Grameen, the chicken farm employs women who were formerly dumpster-scavenging, earning less than $2 a day. The Secret Sisterhood’s upcoming March 30 to April 8 philanthropic journey will take a deeper dive into the issue of human trafficking by visiting ZOE International, a foundation in Thailand that applies a holistic approach to child victims of trafficking. A video (below) from a survivor of child trafficking shows how the program is able to reach children and give them a chance to recover and pursue a better life. While these are difficult topics to look at close-up, it is by this process that philanthropists often figure out important pieces to their strategy puzzle. Along with these challenging explorations, the trip also provides ample time for participants to relax and unwind, as well as reflect with one another about how the experience is impacting them. The Secret Sisterhood provides an interesting new model for how women can help each other build the pipeline for gender equality philanthropy globally. By supporting the Secret Sisterhood, philanthropists get a built-in tour of the work they will be funding, and also get the opportunity to travel with other like-minded women. Through this kind of traveling and networking, women donors may find unique opportunities to build on each other’s skills and work together to address gender equality. Feminist philanthropy is based on a growing body of knowledge demonstrating how gender equality improves civil society. This research is branching out in new directions all the time, studying and identifying ways that gender equality impacts every level of social functioning, from intimacy to politics to technology. 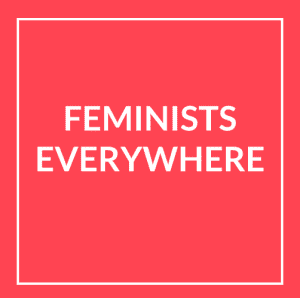 I’ve rounded up just a few examples of the latest research that backs up the claim that a feminist world is a potentially healthier world for everyone. Both Men and Women Sleep Better in More Equal Societies: A study published in the Journal of Marriage and Family confirms that one of the most fundamental building blocks to health and well-being, sleep, is facilitated better in societies with less sexism. When we sleep better, we function better overall, making this study another important example of the deep health and well-being pay-offs that gender equality brings to the table. BlackHer helps Track the Candidates and Provides Support: A new platform is helping to get the word out about Black women running for office in 2018, and is also a hub for research and advocacy for a more representative democracy. One of the great benefits of the internet is its ability to inform the voting public. This website is a great new place to gather information and help get more progressive Black women elected. Kathleen Loehr’s New Book, Gender Matters: A Guide to Growing Women’s Philanthropy: If you’re a feminist philanthropy newshound like me, you might want to pre-order this one. Kathleen Loehr, a longtime consultant and expert in the realm of women’s philanthropy, is coming out with a new book that promises to identify the specific changes that organizations, teams, and individuals in philanthropy need to make in order to increase support for women. This will be a must-read for fundraisers in the feminist philanthropy realm who want to understand how to get their message across and help donors do more gender equality work. Feminist Philanthropy of a Different Sort: Donating Your Research and Writing to Wikipedia: I’m always intrigued when women (and men!) find new ways to give of their time and talent for the cause of gender equality. Jess Wade, a physicist living in London, challenged herself to write one Wikipedia biography a day on the undiscovered world of star female scientists. As of 2016, only 17% of Wikipedia entries cover women. Wade decided to use her passion for diversity in the sciences to provide more knowledge to the world free of charge and on her own time, setting a powerful example for all of us on how we can each do our part to build a world where women are seen and recognized for their contributions and accomplishments. Bravo, Jess Wade! Root Capital is partnering with an Australian Program to provide loans for women in agriculture in South East Asia. While some feminist thought leaders such as Chief Executive of Women’s World Banking of Ghana, Charlotte Baidoo, are calling on microfinance institutions to do more when it comes to lending to women, Root Capital is beginning a new partnership with the Australian Government to do just that. Root Capital will partner with the Australian Government’s program, Investing in Women, to deploy $2 million AUD (approximately $1.49 million U.S. dollars) in a ten-year program to support women business owners in South East Asia. As a partner of Investing in Women, Root Capital plans to bring in private sector co-investments for women’s small and medium-sized agricultural businesses in Indonesia, the Philippines, and Vietnam. Microfinance in general has seen a large increase in funding over the past year, with reports of a 40% surge in capital in the microfinance markets. Now, organizations like Root Capital are taking the lead in helping women enter the economy and succeed in business. The initial investment from Root Capital will fund new loans for women in Indonesia, where the organization has had a presence for the past three years. Root Capital’s work in Indonesia has resulted in more than $23 million in loans to ten agricultural businesses, improving incomes for more than 10,000 producers. Root Capital is a pioneer in both gender lens investing and in feminist philanthropy. 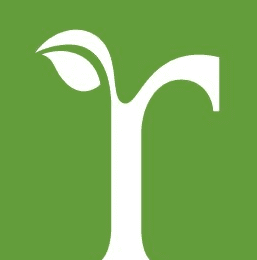 An editorial published on Philanthropy Women last year, written by Charlotte Wagner of the Wagner Foundation and Catherine Gill, Executive Vice President of Root Capital, articulated key concepts in feminist philanthropy that guide the work. 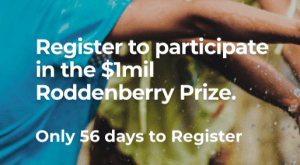 The Roddenberry Prize is looking for applications that will work at the intersection of girls’ education, women’s rights, and climate issues related to creating a plant-rich diet and reducing food waste. Good news for gender equality philanthropy: another large prize is taking on gender issues this year. The 2018 Roddenberry Prize will go to four organizations ($250,000 each) that have realizable plans to address problems at the intersection of girls’ education, women’s rights, and climate change. Not familiar with the Roddenberry Prize? It was launched in the fall of 2016 at the Smithsonian, in conjunction with the 50th Anniversary of Star Trek, and in 2017, the first prizes were awarded. The Roddenberry Prize is sponsored by The Roddenberry Foundation, which was founded in 2010 with a mission to support “remarkable people and organizations who can disrupt existing dynamics, challenge old patterns of thought, and discover new ways to help us move towards a better future.” You can learn more about the Roddenberry Foundation here. What’s particularly appealing about the Roddenberry Prize from a feminist philanthropy perspective is its focus on relationships — on the interconnectedness of problems. This year’s awards will focus on the interconnectedness of food waste, plant-rich diets, girls’ education, and women’s rights. These are four of the top ranked issues identified by Project Drawdown’s in its solutions research on global warming. Results from Peer-to-Peer Review will be used to score applications “using an algorithm that ensures a level playing field for everyone,” according to the Prize’s website. From this process, up to 50 applicants will be invited to submit a Round Two application. Round two will then be whittled down to 30 applications that will be scored by Evaluation Panel judges. Judges for this year’s Roddenberry Prize include Musimbi Kanyoro, President and CEO of the Global Fund for Women (Musimbi Kanyoro recently wrote a tribute to the legacy of Deborah Holmes, which we published here), Yasmeen Hassan, Global ED for Equality Now, Ambassador Ertharin Cousin, Dr. Agnes Kalibata, President of Alliance for a Green Revolution in Africa, and Alice Albright, CEO of the Global Partnership for Education. Interested applicants can register here. Who Won Last Year’s Roddenberry Prize? FarmDrive – a finance start-up working in Africa to help small farmers access credit. FastOx – a “waste gasification system” that benefits marginalized communities in the developing world by converting trash into clean energy. SmartStones – a “body language-based sensory tool” that helps non-verbal people, many with autism, to communicate. Cancer Cell Map Initiative – an effort to find new therapies and diagnostic tools for cancer by mapping molecular networks. Girls’ Education and Women’s Rights: What Exactly Does that Mean in Terms of the Roddenberry Prize’s Vision? The Roddenberry Prize is aimed at enhancing the impact of more girls receiving a primary education around the world. Their website talks about several key strategies to improve girls’ education including helping to make school affordable, helping girls address health barriers, ending child marriage, and helping girls learn life skills necessary for adulthood. You can learn more about strategies that help girls access education on the Prize’s website. In terms of women’s rights, the Roddenberry Prize is looking for projects that recognize that gender equality and climate change are intricately linked, both large and small ways. With women as the central link to community engagement, parenting, and the domestic realm, they are uniquely positioned to be the leaders of better environmental practices. The Roddenberry Prize also emphasizes that women need to have reproductive care and access to family planning, education, and financial capital in order to navigate the global economy. Learn more about key strategies that increase women’s rights on the Prize’s website.